Welcome to Blogger’s Quilt Festival! I hope you enjoy all the different aspects of the Festival and find lots of inspiration for your future projects! This Festival is for everyone – young or old, beginning quilter or advanced, any style or genre, everyone is welcome, and encouraged to participate with us! The story of each quilt often relates quilters to one another, and is an important aspect of our Festival! I hope you take the time to write about how your entry quilt came to be and why it is important for you to share it. Likewise, I hope you enjoy reading about the quilts others’ have entered! **Each quilter may enter up to two finished quilts, each with it’s own post, in separate categories. You will notice that there have been a few adjustments made to the categories. I expect that if your quilt doesn’t fit in one of the more specific categories it will be happy in the mini, small or large quilt category, read on for more specifics. Also, the linkys will not show your names, and will be randomly loaded for each viewer. This gives everyone a chance to be at the top, and for a more fair voting process! Once you have visited a link there will be a green check in the corner, to help you keep track of where to go next. I’m excited to share that Baby Lock is generously giving away a Melody machine, just like mine! To enter to win, leave a comment on this post! -Winner’s choice of THREE Stash Packs, and a 10 yard package of Mistyfuse, from Vicki Welsh! -A $100 Gift Certificate from Pink Chalk Fabrics! -A Trace ‘N Create Quilt Template – Dresden Collection and Lone Star Collection designed by Nancy Zieman for Clover Needlecraft, from Quilt Expo! -A fat quarter bundle of Lulu Magnolia, from Find Your Lula! **Before I go any further I must say THANK YOU to our sponsors! They have generously donated prizes for all of you to win. Be sure to stop by their shops, and find a special fabric, thread or book treat for yourself, while taking in all the quilts. They love being the suppliers for all your fabric and sewing needs! The Mini Quilt Category is for quilts measuring no more than 80″ around. 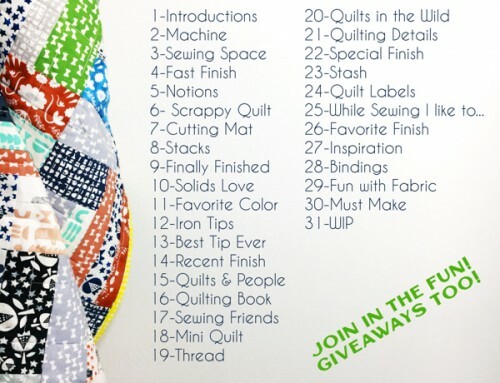 The favorite quilt in this category will win a Weeds bundle from Moda Fabrics! The Small Quilt Category is for quilts measuring 81″ – 240″ around. The favorite quilt in this category will win a $30 Gift Certificate to your favorite fabric shop from Sewtopia Retreat! The Large Quilt Category is for quilts measuring 241″+ around. The favorite quilt in this category will win a $50 Gift Certificate to Fat Quarter Shop! Applique Quilt Category is for hand or machine appliquéd quilts. The favorite quilt in this category will win a one year subscription to the Quilt Show from Sauder’s Fabric! Art Quilt Category is for your artistic quilts. The favorite quilt in this category will win a $50 Gift Certificate to Fat Quarter Shop! Hand Quilted Category is for quilts, quilted by hand. The favorite quilt in this category will win a Large Alison Glass thread set from Aurifil Threads! Home Machine Quilted Category is for quilts that have been quilted on a domestic machine. The favorite quilt in this category will win a $30 Gift Certificate to Fabricworm! Modern Quilts Category is for your modern quilts. The favorite quilt in this category will win a bundle of 16 patterns from Sassafrass Lane Designs! Original Design Quilts Category is for quilts designed entirely by you. The favorite quilt in this category will win a bundle of 20 new Grunge fabrics from Quilter’s Way! ROYGBIV Quilts Category is for your rainbow quilts. The favorite quilt in this category will win a $50 Gift Certificate from Canton Village Quilt Works! Scrappy Quilts Category is for quilts made with scraps. The favorite quilt in this category will win a $50 Gift Certificate from Martingale! -A bundle of five new patterns from Prairie Grass Patterns! -One of two bundles of six patterns from Sassafras Lane Designs! -A $50 Gift Certificate from Martingale! -A Fun Stitch Studion Prize Pack from Pattern Spot/C & T Publishing! -One of two large 12 spool set of thread from Aurifil Threads! -A bundle of three new books from Lark Crafts! -A copy of Quilting in the Country, and a bundle of fat quarters from Quilting in the Country! 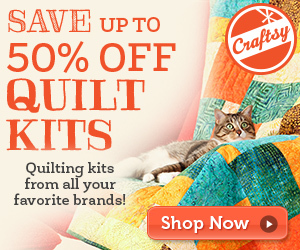 -A $50 Gift Certificate from Quilt Kit Market! -A Jelly Roll of your choice from Green Fairy Quilts! -One of twelve small 12 spool sets of thread from Aurifil Threads! 1 – Write a post the week of the festival, featuring your finished quilt (old posts will be deleted). 2 – In your post link back to the festival. 3 – Share a link to your post, in the linky on the festival post. 4 – Leave me a comment on the festival post to be entered into giveaways. 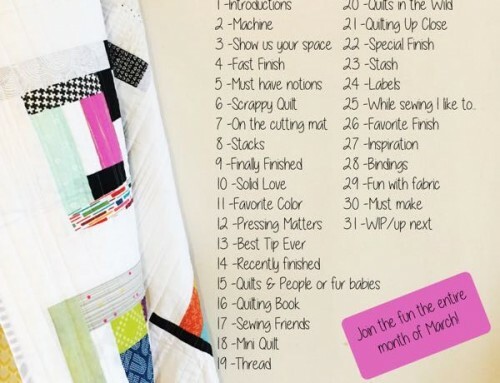 5 – Visit all the other quilters sharing their quilts and be inspired! I hope you have a comfy spot to enjoy the Festival from! If you have any questions, please read through all of the post again, then feel free to email me directly, I will get back to you as quick as I can. Yeah… It’s festival time again. I’m looking forward to see lots of inspirational quilts and visit lots of new bloggers. Amy, a huge thank you to you and all the sponsors for organising the whole thing. Thanks Amy. There’s been a lot of discussion on Celebrate Hand Quilting about this event so I’m going to enter a hand quilted quilt. Thanks for organising this. Thank you for hosting again, I really enjoy browsing all the entries. This is my first time entering. Looking forward to seeing all the quilts, thanks so much for hosting! So happy to participate in the hand quilting category! Thanks for doing this again, Amy! Good morning, Amy ! Thanks for hosting this wonderful festival again. I alway enjoy the eye candy, and I find new blogs to explore each time ! Let’s get this party started ! I love Blogger’s Quilt Festival! Thanks so much for hosting this every year Amy!! Thanks for hosting such a fun event. I’m looking forward to seeing all the quilts, from the comfort of my recliner. Yay! Thanks for putting on the BQF. Love it! Love the changes you’ve made, especially the little tick so I can see who I have visited already. Thanks for the hard work once again. Hi Amy, I’m excited to participate in the festival. I am very excited, and thanks for hosting this wonderful event. I always look forward to this bloggers’ festival and love all the entries! Hi Amy, I love wandering through the quilts that are in the festival. here knows how much work time and expense that goes into these beautiful quilts. Thank you for all your hard work. I hope you give yourself a prize for being the hostess with the mostess! Once again, thank you, Amy for all the effort to put on the festival. I always enjoy seeing so much eye candy in one place. And the prizes are always great because you rounded up wonderful sponsors. Thanks. Thank you Amy, to you and all your sponsors. This is always a fun and interesting festival! Amy, thanks so much for organizing the Blogger’s Quilt Festival! It is so exciting for all of us and a great source of inspiration for the rest of the year!. I look forward to Quilt Festival every time! Thanks for the inspiration! I absolutely love this virtual quilt fest twice a year. Always look forward to it. Awesome festival with awesome prizes. Thank you, thank you, thank you. Thank you Amy for once again hosting this fun event. Thank you for hosting such a wonderful event, Amy! Can’t imagine the work that goes into it but very grateful for all that you’ve done! So fun to see all of the eye candy and be inspired! As always, thanks for all the organisation, looking forward to entering and viewing. Thanks for sponsoring this event, Amy! Always a good time. Yay! I want to win! Thank you so much for organising this again Amy, you’re a star! I entered a quilt into an early BQF a l-o-n-g time ago, and have watched every season since as Amy’s contest has grown exponentially. As ever, Amy, thanks for doing such a great deal of work to allow quilters this opportunity to share and be seen, and to find recognition and appreciation for their talent and hard work. Also, kudos for the additional effort in finding generous sponsors to sweeten the deal – that BabyLock looks very groovy! Have fun, and good luck, everyone! Thanks for continuing to put this together! It is such a joy to participate and to get to see such beauty in one spot!! Amazing as always – what an incredible list of great categories and fabulous prizes. Thank you Amy. It’s really fun to be able to participate in the festivals and share our quilts with a wider audience without the stress of a jury process and shipping precious quilts! I’m excited to see all the wonderful quilts and read about how they came to be. The stories are so much fun and inspiration. I’m loving participating with my own quilt. Thank you for giving us the opportunity! My first time! I pieced the top, had it quilted, and gave credit to quilter…hope that’s ok! This is so fun and inspiring! Thanks for all your work! Wow, Amy, I can’t believe how far you’ve come! Now you’re AT festival with 3 (or 4??) books under your belt and your own fabric line…it’s amazing how you’ve grown! It’s awesome you were able to find the time to get this festival done as well! :-) Major kudos to you!!!! This is my first tie entering and I am SO excited! Thank you again for all the hard work and effort. Looking forward to seeing everything! Thanks for hosting this again Amy! I look forward to seeing all of the entries! Thanks Amy! I’ve been so excited to enter my quilt this time around! Thanks so much for putting all this together Amy! It’s my first time entering, and I can’t wait to see everyone’s projects! Thank you Amy. It is fun to see all these wonderful Quilts. 2. Is there a date range of eligibility? Do the quilts need to have been made after a certain date? Thank you for hosting this festival. It is always such fun to enter and to view all the quilts that are shown. What inspiration there is amongst all these artists. This is my first time entering this wonderful online quilt show! I am excited to be a part of it and look forward to seeing the quilts. Thank you for hosting! Fingers crossed to win a giveaway too! Thanks so much for hosting again! I love all the quilty inspiration. Such an amazing list of sponsors! I’ve not participated in a while, but I love to be back ! Thanks again Amy for hosting festival again and for all the hard work you do! As always, Amy thank you for hosting such a wonderful event! So happy to be participating again this year. Thanks for everything you do to make these Festivals a huge success and so much fun for all of us! Thank you, Amy for this wonderful quilt festival. I know it’s a lot of work and it is such a wonderful thing to see quilts from all over the world from the comfort of my home. Thanks for the chance to win. Looking forward to checking out the festival. Thanks for hosting it. I’m already dizzy from looking at all the amazing quilts and blogs, and this has just started. Oh My! Inspiration overload! Thank you so much for hosting the festival! This is such a wonderful event and I am happy to be part of it. This is my first time entering. And I am new to blogging to boot! Thank you for the opportunity to enjoy the show of such wonderful quilts! 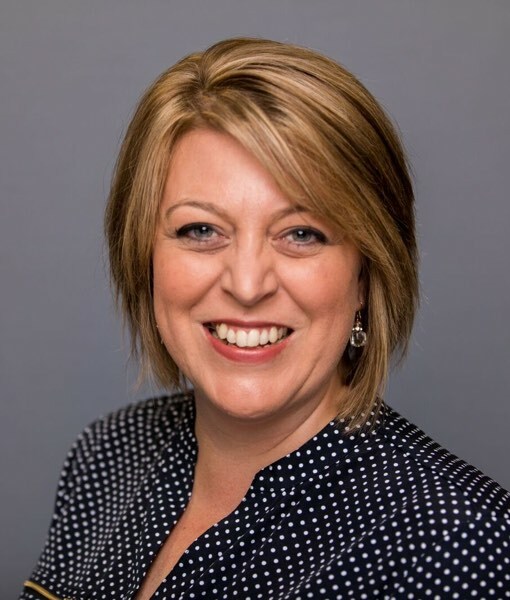 Thanks for hosting this again Amy – just linked up and now I’m off to be totally inspired and amazed! Thank you so much for hosting. I like the new no names, random feature. Getting better each time! YAY ! I LOVE Love love Bloggers Quilt Festival ! It always takes me forever to decide what to enter, because I KNOW the competition is outstanding ! I just love being able to see the work of so many others all in one place ! Thank you for hosting Blogger’s Quilt Festival Amy! :) How amazing it would be to win a Babylock! Thanks for hosting Amy, I am excited to participate as a new blogger. Thank you so much Amy for this great festival – it is so inspirational! As always, thank you so much for hosting! And thanks to all the sponsors as well! Hoping to finish my entry up in time to get it submitted!! I do not have a blog so I could not enter a quilt here, but I do enjoy looking at all the wonderful work being done by artists all over the world. I love this time of year. This festival is always a great source of inspiration. Thanks for hosting it again. It will be great fun to gather inspiration from all the posts and links. This is a great idea, I’d love to join in, thanks! Thanks for hosting this fun festival! I love how the categories are divided up. This is my first time ever to enter something into the festival!! Thanks so much for hosting again – I love the Blogger’s quilt Festival! I just love the Blogger’s Quilt Festival! I look forward to it twice a year! Thanks for all the hard work you do to put this together! thanks for coordinating this yet again, Amy. I love the blogger’s quilt festival!!! so happy to see all the beautiful, creative and inspiring work in one place! Thank you for bringing so many talented bloggers/quilters/artists together in one place! Thank you for hosting Amy! It’s so fun seeing all these beautiful quilts in one place. I wasn’t going to enter but I think I just might :) Thank you to all the sponsors too! Thanks for running this festival, so much beauty all in one place! I would love to win the Melody!!!!!! Thanks for the chance! Thank you for organising this, you clearly have put in a great deal of effort. I would so love to win a babylock machine! Now I’m off to find inspiration from all the beautiful quilts entered. What fun to see everyone’s favorite quilts and hear the story behind it! Thanks for organizing ! Thanks for hosting again this year and working with your sponsors for such great prizes and giveaways! It is always so fun to see all of the beautiful quilts. Thanks for the new category for designers! I love looking at all of the quilts, reading about them and “meeting” new bloggers. I am not a blogger, though, and wish there was a way for me and other quilters who do not blog to participate…. Hosting is such a big job, but what a worthwhile cause. Thanks for all your hard work. I know that I’ll come away with a bunch of new blogs to follow and with a fresh view. Love the bloggers quilt festival! So much inspiration! This Festival is fantastic! A great chance to see all the wonderful work everbody has been up to! Thank you for all your hard work. Thanks for organising such a fun event!! Festival Time! So much fun!! Can’t wait to see all the fabulous creations. Thanks for hosting!! Thanks for organizing this fun event!! Thank you, Amy! Looking forward to seeing all the beautiful entries and making some new friends. Sure appreciate your organizing this fabulous festival once again! Love the festival, and thank you for always putting forth the effort. Best of luck to everyone! How exciting to hear the Blogger’s Quilt Festival is back. Thanks for the opportunity to win one of the generous giveaways. Thanks for organizing this great event. Can’t wait to see all the quilts. Thank you for hosting! This looks to be the best Bloggers’ Quilt Festival yet! Thanks for another beautiful festival, Amy! And thanks for making everyone feel included and encouraged! I love to see what everyone is making. Technology is not my strong point. I wish I could enter one or two of the items I have made, but am not a blogger. Maybe I will learn how to do that soon. Yay for the Bloggers Quilt Festival in all it’s wonderful amazing-ness!!! Thanks sew much to Amy and all the awesome, generous sponsors! Let the beauty and fun begin!!! What a wonderful event. Thank you for making everyone feel so welcome. Love Blogger’s Quilt Festival time of year! Can’t wait to see what everyone made. I am in awe that you can host this from Market – you are a superstar! Another wonderful edition of the Festival! How proud you must be of your nugget of an idea that has grown to a big fun event! Thanks again for all your work, and of course to the generous sponsers who add to the fun. Thank you for having this festival, and for including hand quilting — that is my favorite form of quilting. I love looking at all the beautiful quilts. This is such a great way for me to check out lots of quilters and is a wonderful contribution to the quilt world. Thanks, Amy! So excited for the festival! This is the first time that I’m entering quilts, and I love seeing everyone’s quilts as well! Thank you! I’m linked up! This is the first time I have participated as an entrant. I love looking at all the other quilts. Thank you for hosting another fabulous Blogger’s Quilt Festival. Good luck to all the people who entered. I am so looking forward to seeing all of the quilts. Thanks for putting on such a fun event. Festival time is always so much fun! So many beautiful quilts to see. What a wonderful collection of prizes! I’m looking forward to spending time seeing all the beautiful quilts! Can a person go blind from looking at so much goodness??? Thanks all I want to know. I am very excited to enter. Thank you so much and thanks to all of your sponsors!!! I just found your festival, Amy. This is a great idea for everyone involved. I am jusst starting out and think maybe ineed to set a timer or I’ll be here all weekend! Can’t wait to check out all of the quilts. Maybe someday I will be able to join myself. I would love to go to Quilt Festival. Thanks so much for the time you invest in hosting the quilt festival! I know it’s a lot of work but we do appreciate it and you make it so much fun. Looking forward to checking out all the great quilts in the festival! This is my first time entering–thanks for hosting! Looks like some great entries! I’ve just discovered you! Can’t wait to enjoy the quilts! I love festival time! I love the button you have created for it! Well done! I have been entering a quilt in your Quilt Festival since I started blogging!! Such fun! We REALLY appreciate it Amy!! Thanks for all your hard work!! Great festival, Amy! It is so good to get the courage to enter two quilts, I’m getting confidence that I am doing a pretty good job in creating quilts, and even designing on one my own! I’m a longtime sewer but new quilter, so this festival is news to me. I can’t wait to see the quilts that are submitted. BTW: Are there any rules about whether submissions need to be original designs, or does anything go? Thx! Thanks for hosting once again, Amy! I’ve made a number of friends and come across so many great blogs through this festival. Oh, my goodness, what fun this festival is!! Thanks so much for all the work you do. Thanks much for hosting! This is my first year participating, and I look forward to seeing everybody’s quilts — and showing mine. 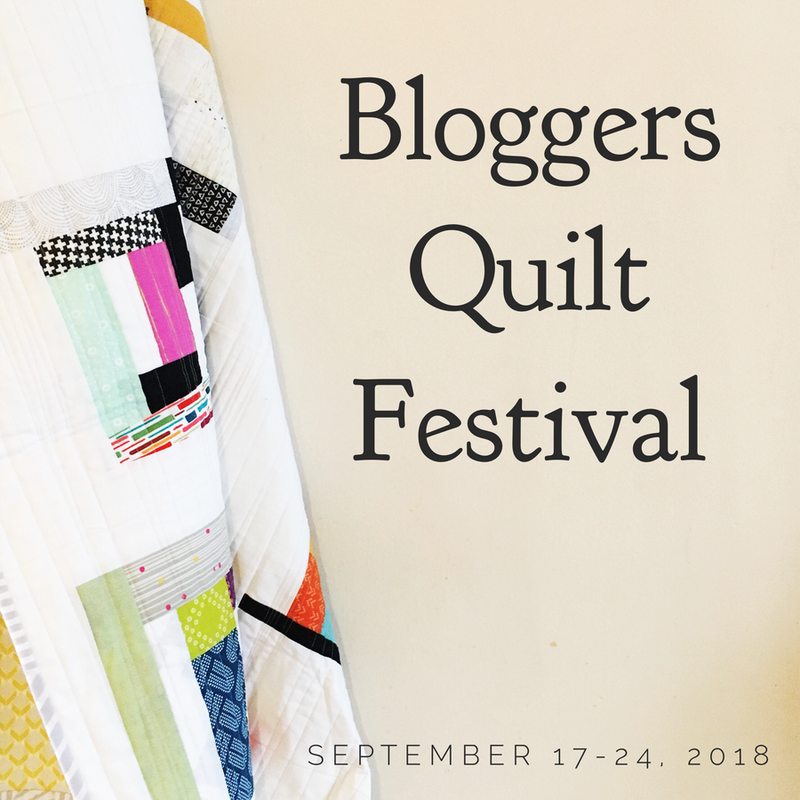 Yes, another blogger’s quilt festival! I am looking forward to seeing many amazing and stunning quilts. Thanks to ALL the sponsors and supporters of the festival. Can’t wait to see all the lovely entries!! Good luck everyone! Just posting my entry today. I just happened to have a new “finish” handy to blog about. Hooray! Love all the talent and inspiration! Yay! Online quilt festival, I love it! Thank you very much for all the work and make this happen! Woot, thanks for hosting! So many amazing quilts! Thanks for hosting this event. Can’t wait to be inspired and awed! Thanks so much Amy for running this festival again. Now, which quilts to submit? I’d love to win the baby lock. Thank you for hosting this virtual QS. I just started quilting, so I am not sure I will enter anything this time, but what fun to see all the other quilts. What a great event and such a wonderful way to see so many quilts!! Looking forward to seeing all the wonderful entries again! Thanks so much! I always look forward to the Blogger’s Quilt Festival. I know it’s a lot of work for you, so thank you for all you do! thanks so much for organising this Amy – its fun to be able to show quilts without entering them into a physical show ! Hooray for Blogger’s Quilt Festival! One of my favorite times of year! Thanks for hosting – love seeing all the quilty eye candy! What an exciting giveaway! Looking forward to the festival! My first time entering. 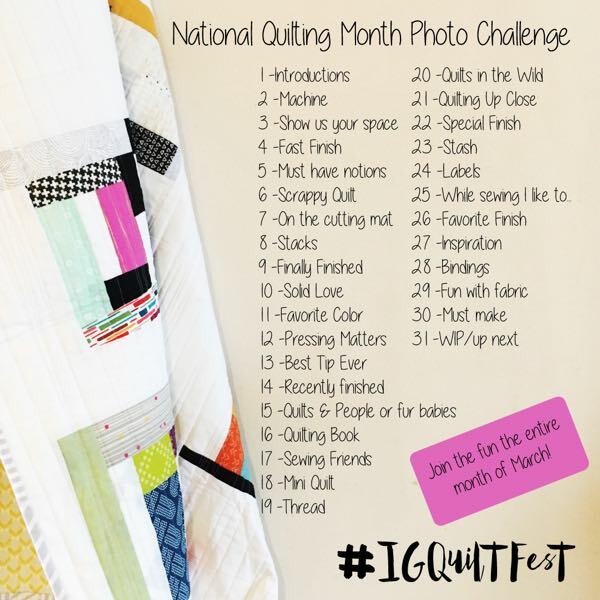 Looking forward to all the inspiring quilts! Thank you so much for hosting this quilt festival. It’s always so inspirational to see what others are doing! Great festival! I’m looking forward to checking out all the quilts and entering my first quilt! I really like the way you’ve organised the categories and the voting this year. Thank you for all your time and hard work putting this together. Thankyou for hosting Amy! 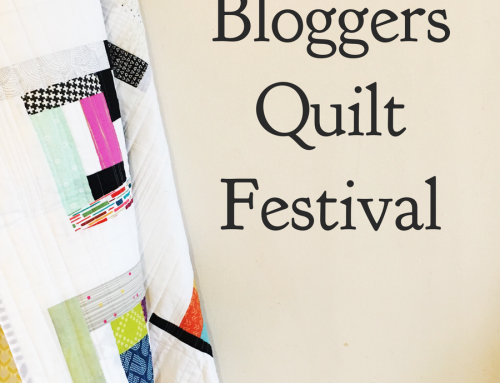 I’m thrilled to be participating in my first Blogger’s Quilt Festival! p.s Hope you are enjoying quilt market and all the new fabric love! I can’t wait to see all the many beautiful quilts! Thanks for hosting and the chance to win an awesome machine! I’m so excited to be entering again this year. can’t wait to see all the fabulous work! What a fantastic Festival – it’s so much fun to see what everyone has been up to. Thanks for all the work you’ve done organising this! Oh so many beautiful quilts! I just found you! I’ve only started quilting so can’t wait for all the inspiration! Congrats to everyone! Every quilt is wonderful. Thank you Baby Lock!!! It’s almost so much fun to discover great quilts and wonderful new blogs. Thanks for hosting this fabulous festival! Thank you so much for hosting this event. I’d love, love love to win the sewing machine!!! Thanks for all your efforts. I really enjoy the Festival. Didn’t get a chance to participate this year, but hope to in the next one. Looking forward to seeing all of the fabulous work that was done by everyone. I always love this event! So many beautiful quilts to gaze at and I always find a few more blogs to follow. Thanks Amy! Thanks so much for hosting this event! I might have missed seeing some of these beautiful quilts without it! 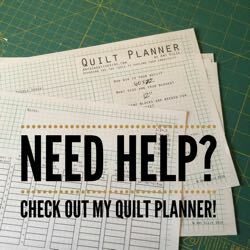 I’m new to quilting and to blogging, but there is such an amazing, supportive community out there and this is a great example of that. Thank you so much for this opportunity! I love the Festival. All of the different quilts. I would love the BabyLock since my sewing machine died last year. I love the featherweight I bought but miss all the new features of the new machines, needle down, thread cutter etc. Thanks for all your work. Love the prizes. Love seeing all the entries. I need a new serger and am told that Babyloc is the way to go. I would love to test drive a Babylock! Thank you sponsors! I need to quit reading and get busy shopping! How exciting! I don’t remember seeing anything about your festivals in the past! How can that be? I’ve been ill & not sewing/quilting for the last six months, but next festival (marking it on my calendar) I’m participating! I’m loving this– so thank you for all your hard work & making this happen. So excited to see everybody’s fun quilts! Thanks again for hosting this great event! I so enjoy seeing everyone’s beautiful work. Done! Woot! Can’t wait to see this season’s Viewers Choice quilts!! Some of these quilts are stunning. Wow, I’m new in this online quilting world and didn’t know this festival existed – it’s awesome! Maybe I’ll be able to enter next year, certainly a goal to have! Thank you Amy and all the sponsors for the chance to win this great prize. i am not a blogger, but I love looking at all the entrants Quilts. Watching these pop up all over blogland is fun, but voting for my favorite is going to be hard. Thanks so much for hosting this great event again Amy. I bet its a whole heap of work and I really appreciate it! What a wonderfully hosted event every year!! Thanks for putting this on!! What a fabulous idea and thanks so much for organizing this. Can you say full time job?! Amazing, thanks again. Thank you for hosting. Love looking at all the quilts! I don’t know how I found your blog and the very first Quilt Show I looked at. It turned me on to quilting blogs, and made me feel like I really COULD make a quilt. I hadn’t made any yet, that I can recall. I have made at least 20 in the last 3 years! Thank you so much for doing this every year, you made a quilter out of me, you and those beautiful quilts I saw on the first quilt show post I saw, and was amazed by. Thank you, thank you, thank you! So happy that it’s Quilt Festival time – just putting the binding on my entry. I love seeing what everyone submits – so much lovely inspiration! I love the BQF! Thanks so much, Amy, for hosting it. And thanks to all the sponsors too! I love all the fun quilty inspiration the Festival offers. Once again you have done an amazing job of putting together this festival! Thanks to you and all of the generous sponsors. Thank you for such an inspiring show. Thanks for the chance to win such an awesome prize. I really enjoy seeing all the entries during these contests. So many beautiful quilts! Thanks for organizing! Thanks for the fun, Amy! And, for the chance to share my quilt. What fun! I can’t wait to hop around and look at all of the entries. Thanks for hosting. What a lot of work to organize such a thing. I just love bouncing around in blog land. So inspired by all you guys do!! So excited to browse people’s personal choices for entry and to read the stories behind their choices. Thanks for hosting such a great event!! I’m so excited to be entering the bloggers quilt festival for the first time. Thank you for hosting! Thanks so much Amy and sponsors. Once I find the linky I’ll add my entry post. It’s been a while since I’ve participated and this event has grown so much! Thank you so much for hosting yet again! It is always so much fun to see the new quilts that have been created during the last year!!! Thanks so much for hosting the festival again! I will be enjoying my coffee time over the next couple of weeks enjoying all the beautiful quilts! Thanks so much for hosting such a great event. The Blogger’s Quilt Festival has helped get me started back quilting and sewing. Thanks again!!! Amy, thank you for organizing such an event! Thanks for the chance! Good luck to everyone! I think I need to do a little more research on this. I just discovered it! Anyone can enter with any quilt? Confused and excited! I love the Blogger’s Quilt Festival – I’m so inspired by all the lovely quilts. And I always find some new bloggers to follow. Thanks. Thanks for organizing again – I’m so inspired again by all the quilts ! Wow, so much fun! I’m excited to participate! I’m participate for a first time in BQF and it’s great event. Thx for big opportunity to know new blogs. Thank you Amy for hosting another Blogger’s Quilt Festival and to your sponsors for their wonderful prizes. Looking forward to seeing all the entries. Thank you so much for doing this Festival. I know it takes a lot of work to get it all ready. I hope you are having a great year. Thank you so much for running this festival again! It’s such a joy to participate in and to connect with other quilters! Back again for another quilt festival! Thanks so much for hosting it! Thanks Amy for hosting Blogger’s Quilt Festival! I am looking forward to viewing all of the quilts. So much inspiration here! What a lot of work you do for all of us quilters each year. Looking forward to lots of inspiration! It’s my first time entering, and I see there are a LOT of newbies, yay! Should be fun to visit and look at all this eye candy! Thanks SO much for doing this–terrific idea! A great gathering of quilts again, Amy. Thank you! Love all the improvements. Thank you so much for hosting the Festival! It’s always so much fun to go through all of the entries, such talented people out there in the Bloggosphere! I can’t wait to dive in and check out the quilts. Are there any options for those of us who just can’t do blogs? I’ve tried, but I always forget to post, or I forget to take pictures, and a quilting blog with no pictures is Bo-ring. Lovely entries being showcased so far, as usual. Thanks for a lovely bloggy event. Thanks for hosting this again! Can’t wait to see all the great quilts. Thank you for putting this together and adding a little description to the categories! You’ve made a lot of great changes! Thank you so much for hosting such a wonderful quilt festival! It is so great to see so many different and beautiful quilts! And “meet” so many bloggers! Thanks so much for continuing to organize the festival! I always enjoy seeing all the beautiful things people have made! Love the new randomised viewing-even though I haven’t been able to enter a quilt this round and the green check is a great idea! At first I thought I was voting by accident, but after reading this I’m better informed! Well done! This is the first time I’ve heard of this event. What a great idea. I look forward to viewing all the quilts and getting ideas. I just happen to have an original design quilt that I’m posting about now. How fortuitous! So excited to participate in this for the first time as a blogger! Can’t wait to see all the beautiful things that people have made. Looking forward to the voting! What an amazing Festival, you did it again. I just uploaded 2 posts but I’m in awe to see all those gorgeous quilts uploaded by my fellow quilters. First time entering! Very fun. Looking forward to seeing all the entries! Thanks again for hosting such a wonderful event!!! I have been looking forward to seeing this since I heard about it on a blog a few weeks back. How fun and inspiring! Thanks for the chance to win and the excitement! I’m having great fun while learning loads! Thanks for opening this window for everybody to see! Thank you for this wonderful quilt festival. I am getting a lot of inspiration. I love the prizes and am amazed by the generosity of the sponsors! Amy: This is my second festival to enter and I have entered 3 quilts this time. I love your festival – I remember following it long before I became a blogger myself. Great way to connect so many people. Now I’d love to win that Baby Lock….!!! Teresa — the directions clearly state that you can only enter two quilts — why can’t you follow the rules like everyone else??? Um who are these people who think that they can enter three quilts? The directions clearly say that you can enter two and two only. I just discovered this great Quilt Festival. I follow some blogs, but now I am following this one, too. I am going to enter 2 of my quilts. Thank you for the chance to win fantastic prizes! I discovered this great Quilt festival. Thanks for the chance to show my quilts, see the others, getting a lot of inspiration, win and the excitement! Looking forward to seeing all the great quilts and becoming inspired to spend some time in the sewing room. Thanks for the link up and giveaway! Thank you for doing this! I am so excited to be able to participate this year. Excited to see everyone’s quilts. I’m a newbie – maybe I’ll practice and participate next year! This is such a great quilt show opportunity! I appreciate all your work and dedication to making this such a neat event. Keep up the excellent work! Hey, thanks for the opportunity to take part. What fun! Fantastic Festival Amy! and Congratulations on your new line with Moda and your success at Spring Market! So very exciting for you — and good for all of us! Yippee! So many amazing quilts to look at! THANK-YOU for organizing this! Such a wonderful gathering of fabulous quilts…excited to be a part of the fun…thanks for organizing a super show! Amy, You are MARVELOUS–simply MARVELOUS! Thank you so much for hosting again. I think I might just link up a project! Excited to see the babylock too! Thanks for sponsoring the quilt festival. What a fun way to enjoy so many finished quilts! Nearly missed it! Thanks so much for putting on this event…always lots of fun to go through all those wonderful entries. Another great batch of quilts! Thanks so much for all the work you and your sponsors put into this! What an amazing set of quilts. I am so inspired looking at everyone’s work. Thank you, Amy for organizing this. Sigh. So many quilts, so little time! Thank you for organizing this collection of eye-candy for us again. This is so sew so much fun! Thanks to everyone for sharing! Thanks so much for hosting this each spring and fall! I love seeing all the different quilts in the various categories. I don’t know how I will ever choose a favorite out of all of them! Thanks for hosting, I’m looking forward to voting for the first time. I have been enjoying all the quilts…it’s hard to pick just one from each of the categories! BTW, what does ROTGBIV stand for? I love your festival and appreciate that you do this each year! I entered one in the small quilt category this year! It would be fun to win anything! I love this time of year! It seems like as the festivals go by, they’re becoming more and more modern looking, less traditional. I love it! Thanks for the opportunity to win something. I am so pleased to have just finished a quilt that I wanted to enter! Thanks for hosting this and thanks to the sponsors for all the great giveaway goodies! Now, off to visit some great quilts and quilters! This is a great idea. It is fun to see what others are doing. I always look forward to your festival! So inspiring. Thank you for organizing and the chance to win amazing prizes! this is my first time seeing the festival. Can’t wait to see all the great quilts. What a great giveaway. thanks. thank you so much for hosting yet again, Amy! I missed taking part in this last year cos I found out too late, but this year I got organised and have entered two quilts! Such a fab idea, thankyou Amy for working so hard to organise it all. So many talented quilters. So much inspiration. Thank you for hosting this wonderful event, Amy. Thanks for the chance to win and hosting such a great event. I am trying to figure out how to get my quilt entered, beginner at the blogging thing. Thanks for the chance to win. I love these things-so many great quilts to see. Thanks for organizing this event and for the chance to win. There is such a wonderful display of quilts. Oodles of eye candy and inspiration! Maybe next time I’ll have a blog and be able to enter! A great place to get inspired. Thank you. I entered one in the Modern category. my http address got cut off. oops. I really enjoyed the fall quilt festival. This spring’s has some really great quilts in it. Best of luck to everyone! I am joining in for the first time! Thanks for hosting again!! I needed a deadline to push me to the finish. What a fun event. Thank you for hosting and thank you to all the sponsors for such generous giveaways. It’s so inspiring to see all the creativity! I love this festival. What a tremendous amount of coordination. Thank you so much for such a great event! This is my first time entering a quilt and I’m so excited!! Thank you! What fun your virtual quilt show has been. I have been enjoying your podcast also. Best of luck with your Moda fabric line. What an awesome festival!! Thanks!! thanks for hosting again – always fun to see what everyone else is creating. Thanks to all the sponsors as well! Thanks for hosting this event filled with inspiration! Wow! Thank you so much for all your organization! It is great to see the talent of all these bloggers in one place! What a wonderful festival! This is the first time I’ve entered and everyone is so talented! Thank you, Amy, for organizing this event! This is awesome! So many beautiful quilts entered … it’s going to be so difficult to choose which one is best in each category! Thanks again for re-adding a hand quilting category! And thanks for hosting this fabulous virtual quilt show! Thank you so much Amy – very excited to see all the wonderful quilts out in “blogging” world! I’m sure I’ll be drooling all over my keyboard. Can’t wait to see all the talent out there! Although I am not submitting a quilt, I love to look and many of my friends in blogland ARE submitting. Cheers to you all! Love this festival of quilts…so much fun. Amy – thanks for organizing and hosting the Festival. I really like the random rotation of the entries in each category. What a wonderful event. Looking forward to seeing all the beautiful entries! Wow, so many beautiful quilts to see! 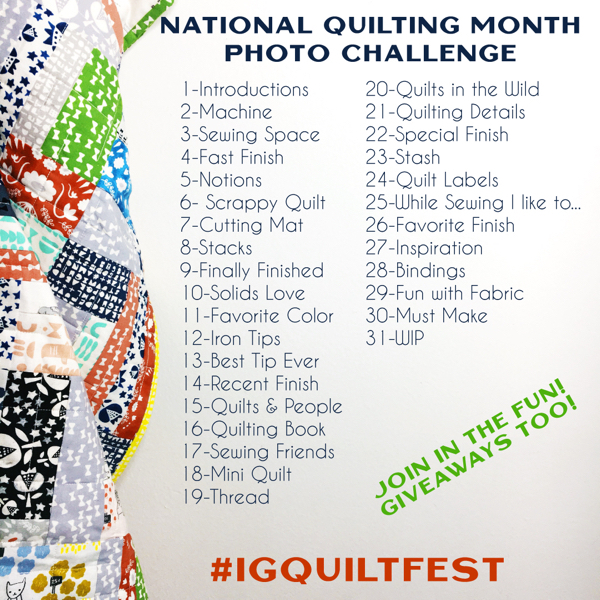 Thank you for hosting this event – I love seeing all of the inspiring quilts! Thank you so much for hosting again! I love Blogger’s Quilt Festival so much! thanks for hosting this fun quilt show! This is a great place for inspiration from so many talented people. It gives all quilters the nudge they need to explore! Thank you for hosting and sharing. Love the little changes you’ve made. The check mark on blogs I’ve already visited is very helpful. Thanks for all your hard work! Hi Amy, I just uploaded my entry into the Art Quilt category – sure hope that I did it correctly! I’m having so fun looking at all of the wonderful entries. Thanks for all your work in organizing this festival. Wonderful eye-candy! I’m having a blast looking at all the stunning entries. Thanks for hosting this. Thanks for organizing this, Amy! I’m excited to be participating for the first time. Another spectacular event Amy! Thanks for organizing this – it really is inspiring to see all these beautiful quilts and be a part of the larger quilting community! What an opportunity. I’ve never entered my quilts into any sort of competition but I wanted to enter one that ended up being far more important than I had expected :) Good luck to all the entrants and I can’t wait to go check out all these beautiful quilts! What a fun festival! I can’t wait to vote very soon. I have a Baby Lock Elizabeth and was thinking just last night as I was machine quilting how wonderful it would be for Elizabeth to have a sister. Thank you so much for once again organising the festival! Thanks again for running this! It’s so nice to see what everyone is making. Thank you again for hosting this fun event! I missed it last season, but I couldn’t wait for this one. This sounds so fun–I’m sorry to have missed it in the past. Love the new categories this year! I get a year’s worth of inspiration from the Festival–and it happens twice a year! So much to look at. Thanks Amy! I still cannot figure out how to vote for viewers’ choice ! Thank you so much for hosting this quilt festival. It is always fascinating and inspiring to see all of the quilts posted. Love this festival of quilts! Such an amazing variety of quilts to see. SUCH INSPIRATION! Aw, boo! I just missed getting my quilt in! Why is it that computers always have problems when you’re trying to get things done! Oh well, happy to be able to browse all the amazing submissions, there are some real beauties! Thanks for organising again, it’s a fabulous inspiration as always! Having a great time looking at all the entries. Thanks! The online quilt community is just amazing and this is a wonderful way to showcase our talent, thank you so much! This has been SO MUCH FUN (again!) Thanks! Just found these links… Looks awesome… Starting the journey now. Thanks for putting on this event… Maybe next year I can enter something!!! Oh, I could use a new machine ! I’d love to win! Thank you! Well, after being sick all week, I didn’t get my blog post done (for the hand quilting category) until it was too late. Figures! However, visitors are welcome to see what I wanted to share, at http://quiltedlibrarian.wordpress.com/2014/05/23/almost-joining-the-bloggers-quilt-festival/. You should have a section for hand pieced for those people that make quilts without a machine. Love seeing all these beautiful quilts! Love seeing all of the quilts in the BQF – just wish I had time to visit and comment on all of them! Such a wonderful collection of inspiration and talent in one place! Thank you so much for organizing and hosting this, its amazing! Thanks for the festival, so much fun! This is a great festival. Inspiring for sure. I am really enjoying seeing all the posts from my blogging friends with all of their entries. I love the Blogger’s quilt festival! I’m looking forward to seeing all these amazing quilts! This is such an amazing event. Thank you for hosting it again. This is my first time entering. Thanks for organizing all this! It’s really fun to look through all the great quilts. There is so much inspiration to be gleaned from these gorgeous quilts. I hope it will give me some creative juice. Wow!!! A Baby Lock! Whohoo! Wow! You’re really giving away a Melody! I love Babylock, I have a smaller Babylock, but it would really be nice to upgrade! You have organized a fantastic show yet again! So much beautiful work, thanks for showcasing it all! Thank you for hosting BQF Amy! I have been drooling over the beautiful quilts, the stories behind them, and found so many fantastic new blogs to follow. As a new quilter this is very inspiring. Everyone has entered such outstanding quilts, it was difficult to narrow down my votes. Good luck and great job to all participants! What a fun contest. There is so much inspiration. I’m enjoying seeing all the quilts and sharing my own! Thank you! Thanks for organizing this, I love the inspiration I get from all the quilts displayed. Thanks for hosting, I enjoy seeing the amazing quilts people make. I love this event. It’s so inspiring. Thank you for continuing to do this. total eye candy-thanks for the show of talent!!!! Thanks for hosting all of these beautiful projects!! This is all amazing and SO fun! Thanks for putting this together so we can all share and be inspired. Thank you so much for hosting these wonderful events. I get to see so many inspiring and wonderful quilts and their quilters. Hi Amy. I’m just beginning to quilt and started my first throw/lap size quilt for my 5 year old daughter. I’ve also started listening to your podcast with April on Stitcher (I always give thumbs up on episodes while getting caught up!) and am hooked. This will be my first time hearing about BQF and voting. Love seeing all the beautiful and amazing creations. So inspiring and eye opening to all of the possibilities of this art form! Thank you for all of the hard work you must put in to arranging this festival. Maybe someday I will have an entry myself.!? I love hand quilting and have only hand quilted smaller sampler/practice pieces and plan on hand quilting my first quilt. I’m aspiring to have an entry in the hand quilting category someday! Thank you again for putting together this great festival of quilt eye candy! I absolutely love the bloggers quilt festival. I can’t wait to see all the amazing quilts!!! I’m so excited to see everyone’s entries! Sadly, I only have quilt tops :( I have yet to get brave enough to move on to the quilting stage! I think I may go old school and hand quilt on a frame like my grandma used to. :) Happy Day! There are so many wonderful entries in the festival..
My first visit to this online show! Thanks! Amazing prizes! Thanks for putting this all together for another year! Amy, I noticed two different things in the voting that I hadn’t noticed in previous years–first that I get TWO votes per category and second, that today when I came to check out some more bloggers I was able to vote again–is it set up that we can vote daily now, or perhaps my votes from before weren’t saved?! Would love to know either way, thanks! Thanks so much for hosting this again Amy!!! Great festival this year! Thanks for all the organization. And congrats on your new fabric and time at market. So many so pretty quilts in all categories! Thank you so much for this visual feat for the eyes. Kudos to everyone who submitted a quilt. I want to say I enjoyed reading the blog posts and glad to see the bloggers who I follow enter a number of categories. Awesome show! Thanks for hosting the festival. It is great to have a quilt in the viewers choice. Thank you for hosting the festival. I love seeing all of the entries. First time finding the festival, now to get comfortable and look around and vote! As a new quilter I am looking forward to browsing through all the incredible eye-candy. First I must get some coffee and clear my daily schedule! I can’t wait! Thank you for another incredible quilt festival. Choosing a single favorite was nearly impossible, but finding quilts I absolutely love was easy. Thanks for the great “Quilt Show”. I can enjoy at my leisure and not leave my home. Congrats to all the winners of the show. So much inspiration, now I have to go and sew up the quilt top is waiting for me. Although I am not an entrant, I so loved looking at the show and voting for my favorite. This event has taken an extraordinary amount of planning and I applaud you for it! Thank you! Me cuesta muchísimo decidir mi favorito. En todos los diferentes métodos hay tantas maravillas, tendría que votar por todos los edredones. I’m so happy that you do this online quilt festival. This is my first time entering, and it’s been a lot of fun to see all the other quilts! Thank you Amy for yet another fantastic Blogger’s Quilt Festival!!! Looking forward to seeing all the quilts! Another fabulous festival, Amy! Thank you for organizing it! I can’t wait to browse all the beautiful quilts and get some inspiration! Thanks for hosting! Thanks for hosting this festival- it is full of inspiration for a beginner quilter like me. It’s so inspiring to see all the beautiful work done by so creative quilters around the world. Thanks for organizing this great event. Great as always, Amy! Thanks for all the work you put into this each time! What an amazing festival! I have so enjoyed looking at all the entries. Thanks for hosting such inspiration! Its just amazing each quilt festival has the most beautiful quilts!! Thanks again for such a wonderful venue to show our quilts! I am so enjoying the diversity and creativity found in these quilts! Thanks for all the work of putting this on, Amy. I am inspired to add many more quilt ideas to my “to-do” list, even though I am a new quilter. Thanks for putting this together – it’s been a lot of fun seeing so many beautiful quilts from my desk! It makes me want to start a blog so I can join in the fun next year. Thank you for hosting this wonderful event. The quilts are beautiful. It is hard to pick a favorite. I love the quilts I just saw. Two are my favorites, but not by much. Thanks for the Quilt Festival, and hope I win a viewers gift! I’m excited to get lost in the sea of color and design. Thanks for the Festival, and I know I would benefit greatly from winning a gift from your site! Time to browse…….and enjoy……..and be inspired! So enjoyed browsing every category. Blogs like yours are what make it SO difficult to pick out my next project. Thanks to you and your sponsors. Thank you for setting this up! I am so excited to see it! I didn’t enter this year, but I’ve loved looking through all the projects. Thanks for such a great showcase! (and for offering such wonderful prizes). Love the opportunity for this great sewing machine! I so hope to win! I love the festival! There are so many talented quilters! I’d love to win the baby lock! I’ve been shopping for a “big girl” machine! :) This would be awesome. I am so excited to find this. I’m new to quilting and will enjoy seeing the beautiful creations that others have done and hopefully have a chance to win something. Another great festival, I am really enjoying seeing all the quilts and entered the applique category. Thanks for hosting this festival! I am so glad that you kept the hand quilted category. A ton of beautiful quilts!!! So many beautiful creations to enjoy. Love the community of experts to novices that comes together through the art of quilting. Funny how an image comes to life in the hands of a quilter. What a great festival! I didn’t know about it until a friend called my attention to it! I hope I’ll be able to enter a quilt next year. Thank you for hosting the festival! I don’t know how anyone could just pick one. Your quilt festival is new to me and I’m looking forward to joining next time. Thank you for all of the wonderful inspiration. Still thinking that winning a lovely new Baby Lock would be wonderful. A machine I can travel with (and to give my dear old friend a much needed break). Thank you, Amy, for even a glimmer of neat possibilities. A Babylock would be a wonderful machine to own ! I almost missed this entry, such a great prize. Thank you Amy for all the work on the festival and thank you to the wonderful sponsors for their support. All the quilts are beautiful and an inspiration. A wonderful festival! I love to see what other quilters have been working on. Thanks!! All of the quilts are beautiful! My favorite is the Churn Dash. Just love the fabrics used. The colors make it look so fresh. I am going to start mine tomorrow! The quilt entries are all gorgeous!….hard to pick just one. Pretty cool of Baby Lock to add the giveaway. Thanks for the peek at the amazing quilty-talent out there.